With this Dual M.2 PCI-e expansion card you can connect your M.2 SSDs and enjoy fast and secure data transfer. 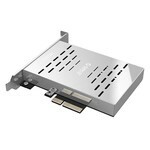 Two M.2 SSDs can be placed in the expansion card. 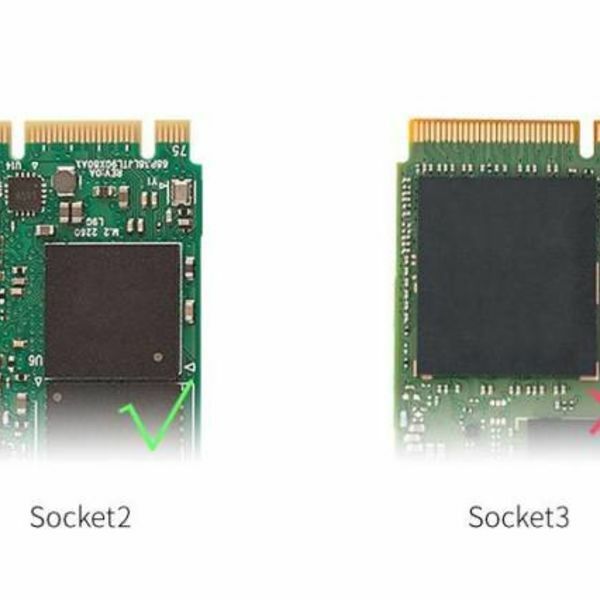 Dual M.2 PCIe expansion card which you can connect to your motherboard. 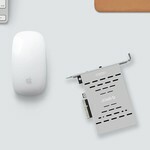 This allows you to link your M.2 SSDs and enjoy fast and secure data transfer. 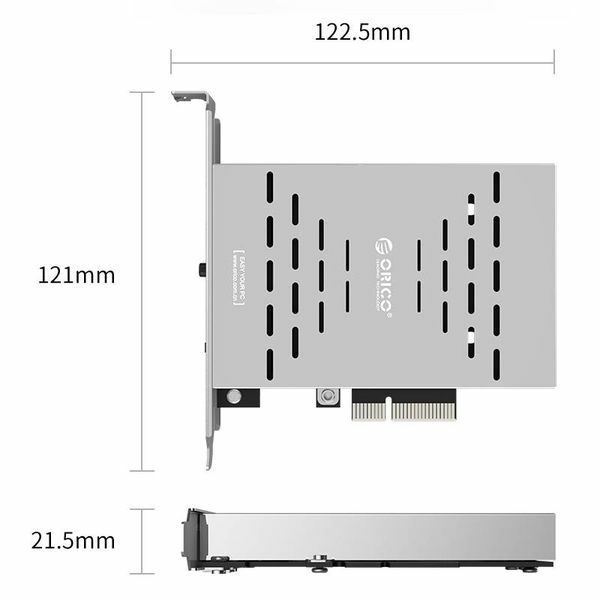 Two M.2 SSDs can be placed in the expansion card with dimensions up to 22mm x 80mm (Socket 2 PCIe x4 - 2280 M-Key). Set the RAID 0, RAID 1 or AHCI mode yourself. By choosing the RAID 0 mode, speeds can be achieved up to 10Gbps, which makes it even more fun for example to get the game. In addition to RAID 0, RAID 1 is also supported. Because both RAID modes are supported, you can set the right mode according to your needs. In general, it is a specially designed product for people who want to work with very high performance. Think of Gaming, Virtual Reality, watching 4K movies etcetera. 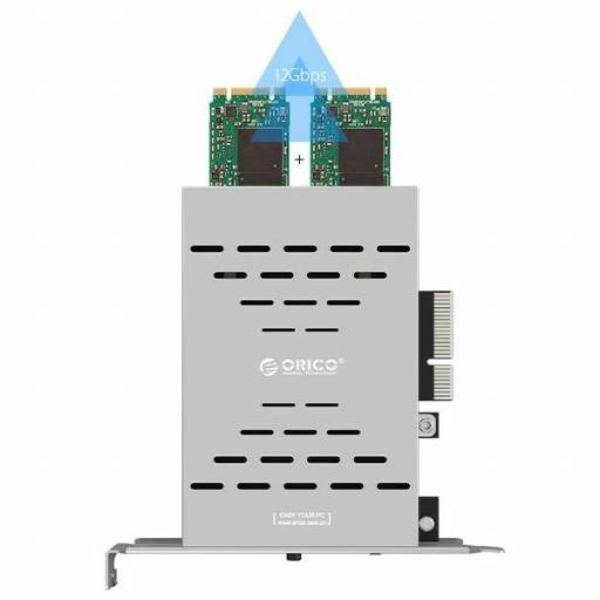 The ORICO PRS2 Dual M.2 SSD expansion card supports RAID, combining two hard drives for speed gain and / or data loss protection. Different RAID modes are supported. These are RAID 0 and RAID 1. 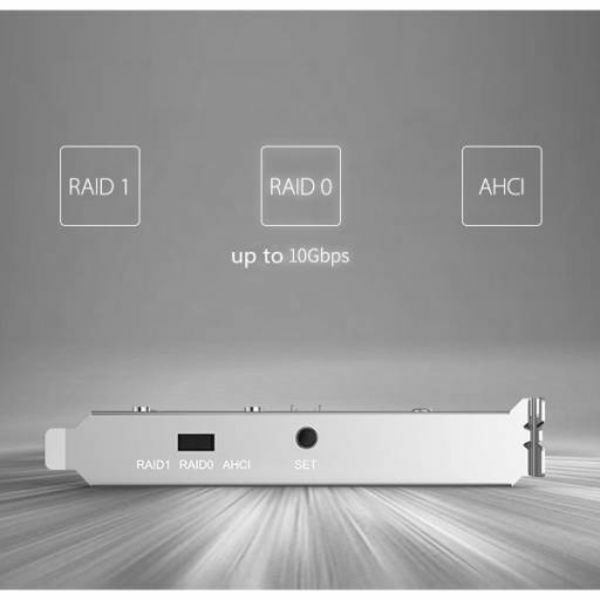 By RAID 0 you experience the fastest data transfer speeds of up to 10Gbps. 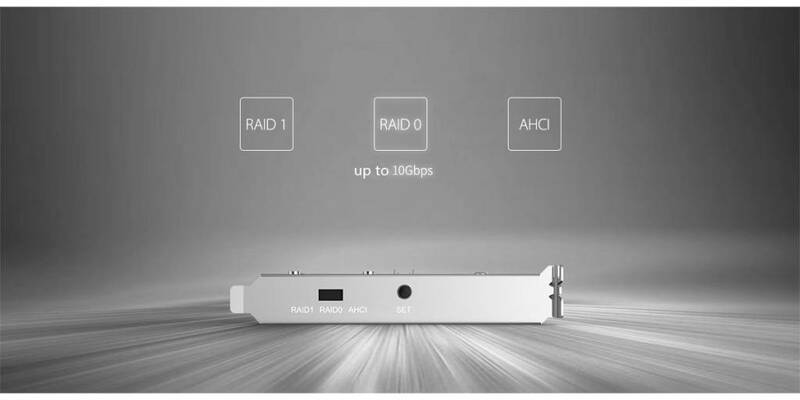 RAID 1 ensures that a complete error correction takes place. The data is stored several times on different disks. 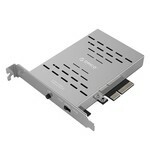 This will keep all your data safe even if a drive fails. 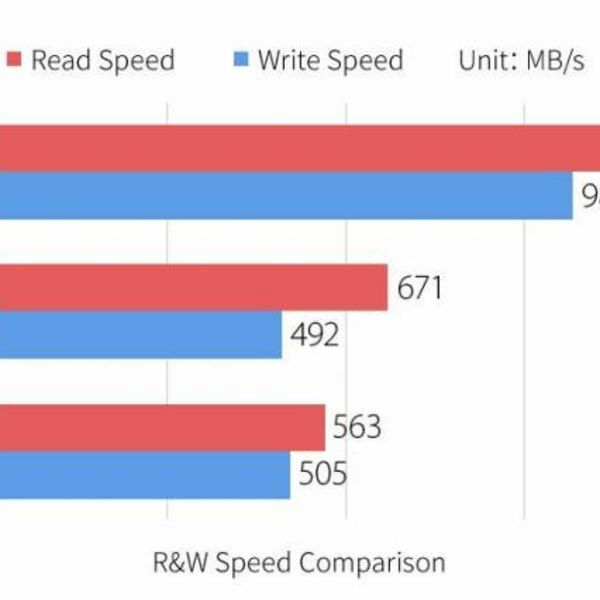 Reading is done by RAID 1 at double speed. 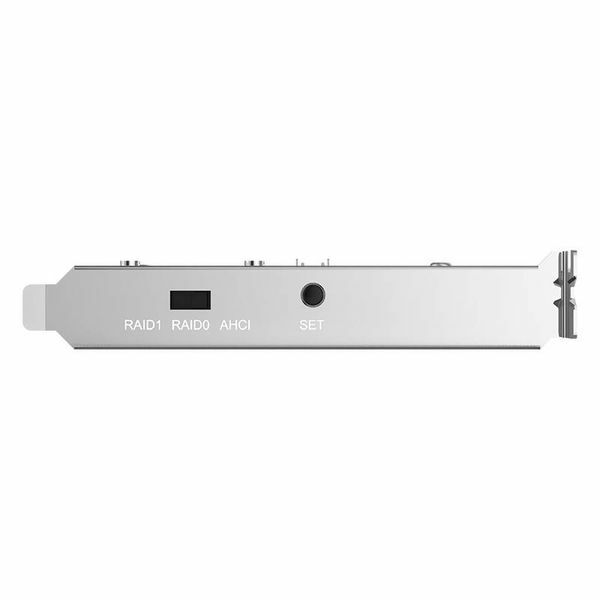 The PCIe M.2 SSD expansion card also has the AHCI mode in addition to RAID 0 and RAID 1. (Advanced Host Controller Interface). Together with RAID, this is the most modern institution so far. It ensures that you experience the best performance. 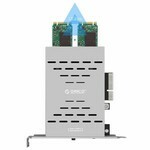 Major advantages of AHCI are that "hot plugs" and the NCQ technology are supported. 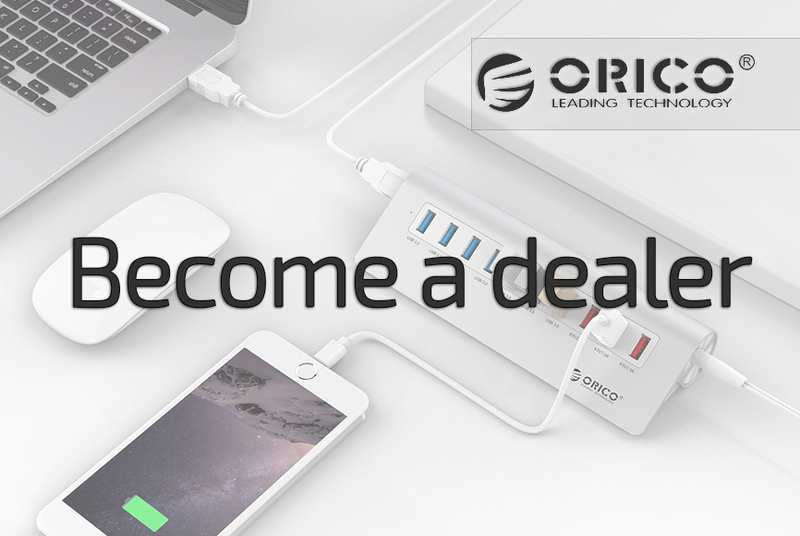 Hot plugs means that you can (dis) connect the SSD without having to shut down the computer. 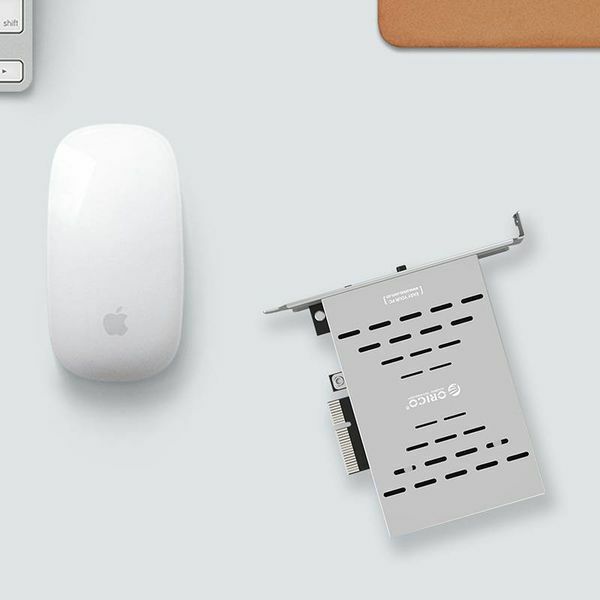 The NCQ technique ensures that the SSD is further optimized, so that significant performance gains are noticeable. 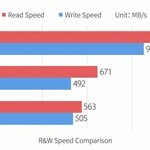 SSDs work faster in AHCI mode. First place the M.2 SSDs in the expansion card. Then connect the PCIe expansion card to an X4, X8 or X16 slot. (Due to the very high performance it is technically not possible to connect the PCIe expansion card to an X1 slot). The driver is downloaded automatically, it does not require a CD-ROM. Once the card is connected, it can be secured with the supplied screws. 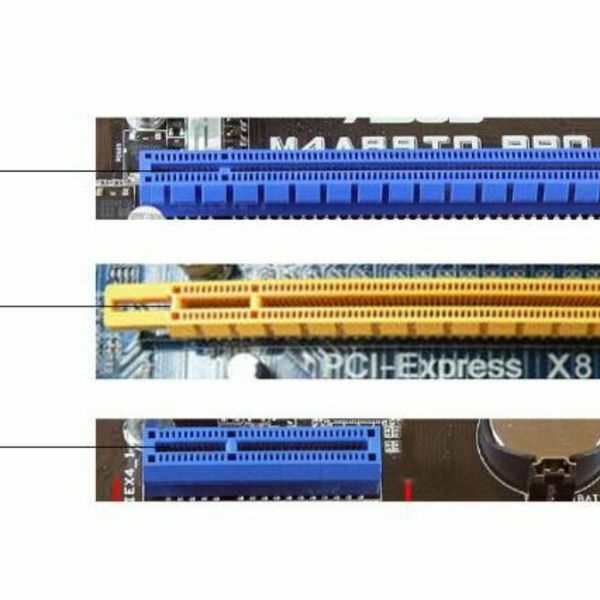 The PCI-Express expansion card is compatible with X4, X8 and X16 slots and also fully compatible with PCI-E 3.0, PCI-E 2.0 and PCI-E 1.0. Is supported by Windows and Linux. 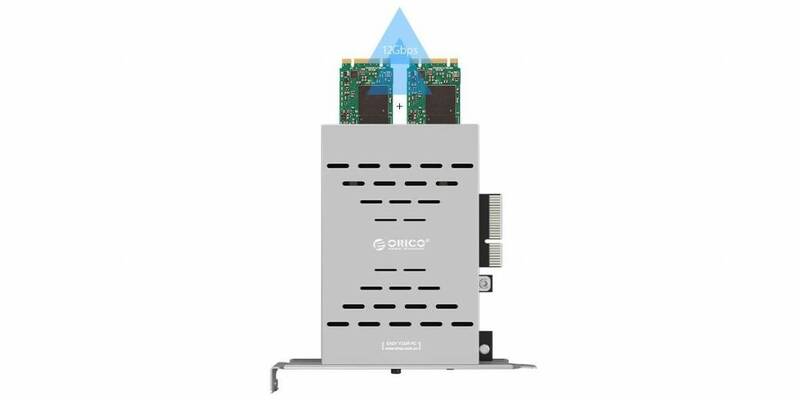 The Orico PRS2 expansion card is made of high quality materials. Thanks to the light metal panel and the precision PCBA plate, the product has an excellent finish. The high-quality appearance is due to the dust-free and stainless steel shielding, which also ensures good heat conduction. The built-in LED indicator indicates the work status. 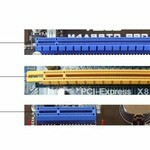 ✔ PCI Express Dual M.2 SSD expansion card. ✔ Supports: 2 x M.2 SSD up to 22 x 80mm. 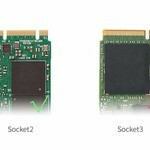 ✔ Interface: 4 x PCI-E (Socket 2, M-key). 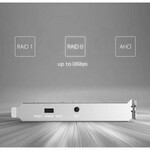 ✔ Transfer speed: up to 10Gbps. ✔ RAID modes: RAID0, RAID1, AHCI. ✔ High quality alloy and silver-gray color of both the front panel and the PCB (4-layer).